If there’s one thing we often ignore, it’s bad breath. The reason why? Because the cure is simple: throw a few mints down, chew some gum, or swirl mouthwash around. However, we want to urge you to pay attention to your bad breath if you notice it occurring more often than normal. 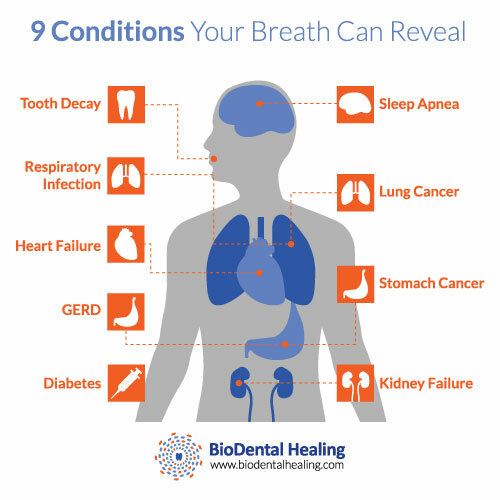 This is because there are certain conditions your breath may be trying to warn you of! Certain compounds in your breath are able to pinpoint stomach cancer using high tech breath test technology known as nanoarray analysis. New, cutting edge breath tests are being utilized now in order to test for lung cancer. 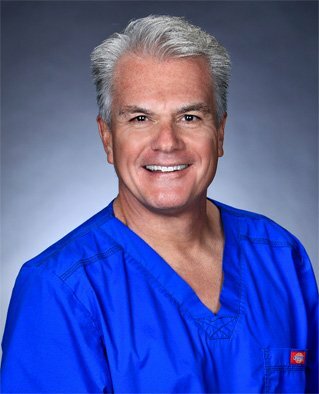 This is much more convenient than having a biopsy taken from your lung – an invasive procedure. The device can pick up on volatile organic compounds in your breath. Devices are also being used to accurately test for heart failure complications with convincing success. Look for signs of a fruity odor from your breath, similar to that of nail polish remover. This may be a sign of a complication in diabetic patients. If you notice fishy breath that is almost urine-like, then it may be pointing to an issue with the kidneys. More common than you might think is sleep apnea. Look for sour breath as a result of a dry mouth due to breathing through your mouth all night. Any type of foul-smelling breath may be the result of a stomach issue including GERD. It may also be just an after effect of digesting difficult food. Look for consistency. Similarly, bad breath may also point to respiratory infections such as bronchitis, sinusitis, or flu symptoms. Truth is, more often than not bad breath (known as halitosis) is generally caused by poor oral hygiene, which will lead to tooth decay and produce even more issues with bad breath. Pro tip: brushing your tongue may help eliminate bad breath. Try working it into your routine! If you notice a reoccurring pattern of bad breath, then first bring it to the attention of your dentist for more guidance and from there you may be recommended to see your primary care physician. And of course, never forget to brush and floss your teeth daily! Have you ever tried a natural alternative to toothpaste? See the difference! This entry was posted in BioDental Healing and tagged breath test illness, causes of bad breath, conditions bad breath reveal health, why does my breath smell funny. Bookmark the permalink.